Angel has been on her own for two years, moving from place to place to outrun her past. With no family and few friends to lean on, she’s managed to keep her secrets and stay safe. But when her past suddenly catches up to her, she has a choice to make. Run or stay and claim her life once more. Vadim has never let anyone close to him—until Angel. From the first time he met her, everything changed. As a private consultant for Wyatt Christiansen, he’s good with computers and he’s got connections to unearth people’s deepest, darkest secrets. When Angel’s life is threatened Vadim steps in and uses all his resources to end the threat once and for all. 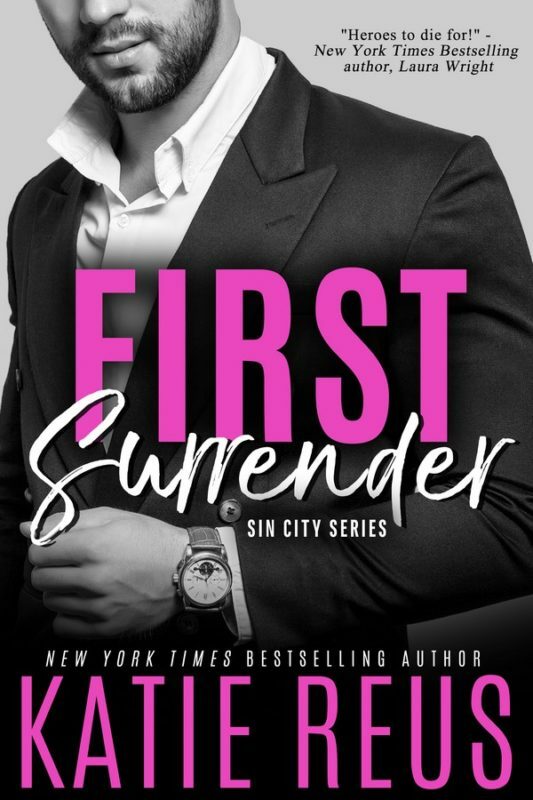 As the danger closes in, he lies to her in an effort to protect her, not realizing that even once the threat is eliminated, he might lose her anyway. 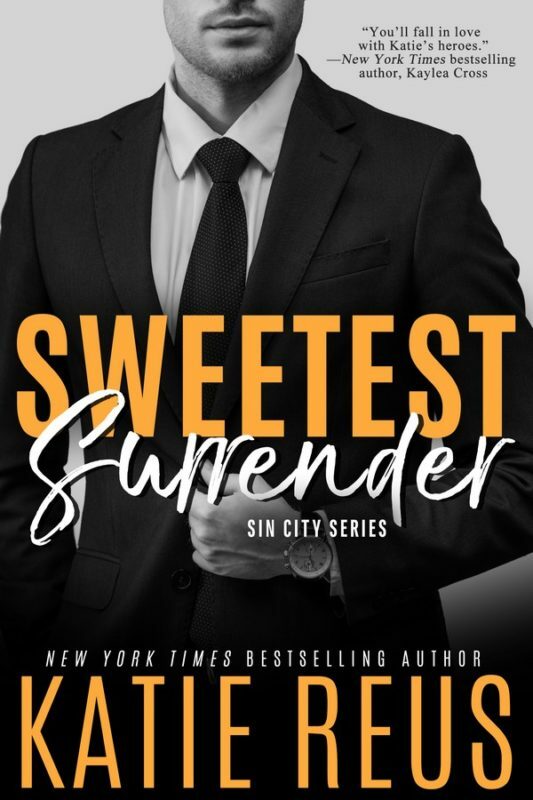 Author note: Sweetest Surrender is the third book in The Serafina: Sin City series but can be read as a stand-alone. Angel clutched the brown paper bag filled with the boxed up leftover food she’d planned to take home tonight. It didn’t matter that it would have been thrown out, what she was doing was stealing. Something she’d never thought to do. Ever. Stealing was wrong. Something she’d learned before kindergarten. In the last two years, however, she’d learned to live in shades of gray, not black and white. The world simply wasn’t so nice and tidy—those who thought it was viewed life with rose-colored glasses. Okay, that sounded a little bitter. But it was how she was feeling. She hated that she’d gotten to a point where she was actually stealing from one of her employers. She paused at the back door of the restaurant that would lead to a long hallway on out to the dumpsters behind The Serafina Hotel. No, she just couldn’t do it. She turned and headed back to the main kitchen. She’d planned to leave the bag out there and grab it after she’d clocked out. Pretty much no one was left at Cloud 9 this late. She’d been the closing server; the bartenders had already gone home while she finished cleaning up the kitchen. As she stepped back into the galley of the main kitchen, she froze. Sierra Archer was standing there cataloging salad dressing. The petite woman had her long black hair pulled into a ponytail; she wore plain clothes, not her normal chef’s jacket. Normally she didn’t work on Thursdays and it was after hours so Angel was more than surprised to see her. Unable to find her voice, she nodded, clutching the bag. “Yeah,” she managed to rasp out, hating the guilt suffusing her. “You want me to ring you up?” her boss asked, nodding at the brown bag. “I’ve still got a register open. Haven’t gone through the night’s drink reports yet and it’s gonna take forever.” She made an annoyed face. Before Angel could respond, Hayden, Sierra’s fiancé and also one of the heads of security at the Serafina, strode in. “Hey, sweetheart,” he murmured to Sierra. Without his normal suit and tie and wearing just a T-shirt and jeans he should have looked casual and unintimidating. Unfortunately the huge man with the tattoos always made her feel nervous. Both he and his brother did. They were nice and Angel knew Sierra wouldn’t be with a loser, but still, in her experience she stayed away from men that big. She knew what fists could do. “No, it’s okay. This isn’t…” Oh God, she didn’t even know what to say. She hated confrontation and always clammed up when she felt cornered. Only Sierra wasn’t cornering her. She was just being nice. But Angel felt so guilty and it must have shown on her face because Sierra turned to her fiancé. Hayden’s eyebrows rose, but he nodded and left after giving Sierra another quick kiss on the forehead. Angel knew that even small infractions like this were cause for being fired. Especially at a restaurant in a casino. If she took something small, who was to say she wouldn’t skim elsewhere? Her face heated up with shame, but she forced herself to hold the other woman’s startling green gaze. “I know and I’m really sorry. I’ll grab my last paycheck next week but…I get it.” Angel knew the other woman would have to fire her over this and there was no point in trying to convince her not to. Sierra turned at a slight scuffing sound to find Hayden and Vadim entering the big galley kitchen. What the hell was Vadim doing here? He was part of the hotel’s security team, but she hadn’t even thought he was working tonight. Right then Angel wanted the floor to open up into a giant hole and swallow her. For a brief moment she met Vadim’s pale blue eyes but quickly looked away. To say she had a massive crush on him would be an understatement. So many of the wait staff were afraid of him but she didn’t understand why. He was so sweet and gentle and right now she simply couldn’t bear to have him witness her getting fired. “Sierra.” She tried to keep her voice steady as she dragged the other woman’s attention back to her. With the bright lights of the kitchen overhead she felt as if she was under a giant spotlight. When her boss looked back, Angel said, “I’m going to go, but I really am sorry. Please don’t…” What? Don’t fire me in front of them? Them, meaning Vadim Sokolov, the man she’d been lusting after for months. She could feel her face turning even redder and thanks to her Irish coloring, she probably looked like Rudolph’s nose. Sierra took a step forward, closing the distance between them. “Let’s just talk about this in my office,” she murmured, motioning toward the back of the kitchen. “Is everything okay?” Vadim asked, still standing in the entry with Hayden. The slight trace of his Russian accent was ever present, the delicious sound rolling over her like a warm, all-enveloping embrace. Angel swallowed hard. “Fine.” She gave Sierra a beseeching look. She seriously doubted the other woman wanted to call the police over some food, so she was going to make her exit before Sierra could tell her fiancé what Angel had done. For all she knew, the head of security had protocol to follow. Setting the bag on the metal countertop, she clutched her purse to her side. “Sorry, Sierra,” she muttered before making a beeline for the exit. She mumbled a quick goodbye to Vadim, who looked oddly hurt by her getaway, but she couldn’t think about that now. She just needed to get home and away from here. And figure out her next move. She’d been lucky enough to find work in Vegas but she’d been here months already. It was time to move on. Tonight was just a sign that she’d stayed in one place too long.